When it comes to classic vintage muscle cars, the 1969 Chevelle is one of the best. This second-generation model (1968-1972) with the ‘SS’ package housing either a L72 427ci./7.0 L or a 454ci./7.4 L were the most potent, but the 396ci. still had a lot to offer, depending on the options. This example has been sat for many years and clearly needs a full restoration job. There’s not much information with the listing apart from its a 396 ci. V8, automatic transmission on the column, comes with 5 original SS wheels and was originally Cortez silver with a black top. There are no images of how deep the rust damages goes throughout the car or close ups of the interior, which means it’s quite hard to evaluate how much welding work will be needed. At least most of the panels look relatively straight. The completely brown looking engine, means a complete engine stripped down, but at least the engine bay and sidewalls look relatively intact. 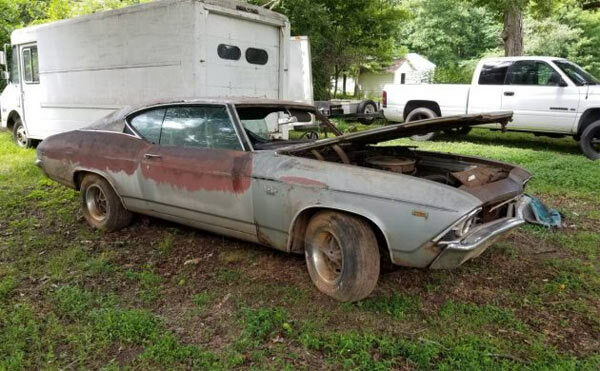 You’ve clearly got a lot of work ahead of you if you buy into this restoration project. 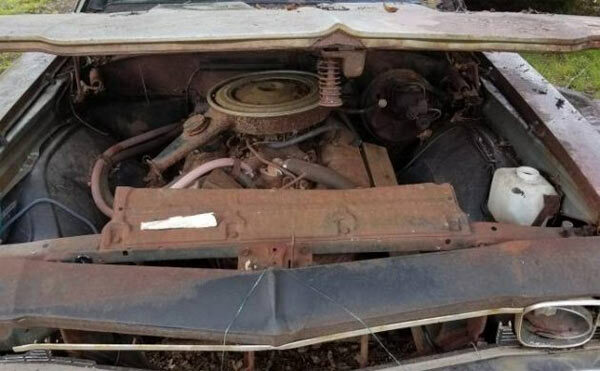 Rust repairs, parts, glass, can all start stacking up the bills, but the asking prices is $5000 and nice condition versions can set you back around $40,000, depending on the options. It would be interesting to see a build sheet with this car to see exactly what the options list is to try and evaluate what the end worth could be. 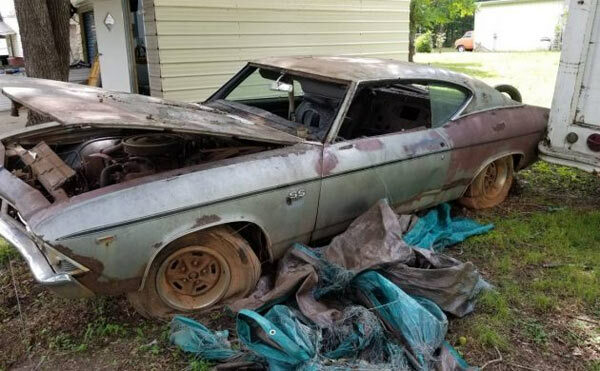 But in any case, being a 1969 Chevelle SS, if you have the means, it’s definitely worth saving.